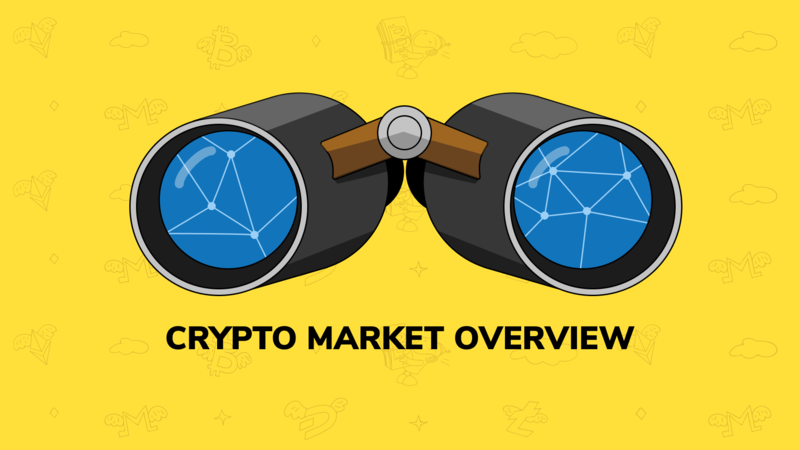 Check out last week’s digest on cryptocurrency market changes, top 3 coins stats, top gainers and losers and the most notable cryptocurrency news. Last week was marked mainly by the CBOE’s rejection of Bitcoin futures, SEC chairman’s statement and canceling of the first IEO on Bittrex. Hope you find it helpful and as usual – happy trading! The growth of crypto market capitalization slowed down a bit in comparison with the previous week, but the overall trend was still bullish. Bullish trend continued and as a result Bitcoin, XRP and Ethereum increased their crypto values. Ethereum is leading here with 2.37%. Ormeus Coin is a leader of the top gainers with more than 1 845% added to its price. Influence Chain, CoTrader and Sphere had significant losses during last week. Bittrex International, a part of United States cryptocurrency exchange Bittrex, has canceled its first initial exchange offering (IEO). As announced, Bittrex International planned to host the IEO of the RAID token, but it was canceled due to the “significant changes in the business status of RAID”. More specifically, the reason was the termination of the strategic partnership between OP.GG and RAID, “which was a vital part of the RAID project”. The Chicago Board Options Exchange (CBOE) will not add a new Bitcoin (BTC) futures market. Currently listed Bitcoin futures will be available for trading until June when the last one expires.